It may seem slightly weird that a kit drops in value the moment it starts to be assembled, yet the situation is comparable to a fine wine, which gains value until it’s opened - then you have to glug it down, pronto. So for the kit collector, there can be just one logical strategy. As model guru and collector Mat Irvine points out: “Three kits is the optimum - one to build, one to kitbash, and one to lay down for the future.” Well, Mat’s the one to know! There are some marvellous old-stagers out there. How about spending $925 USD (£590 GBP) on a rare Monogram Phantom Huey from 1969? 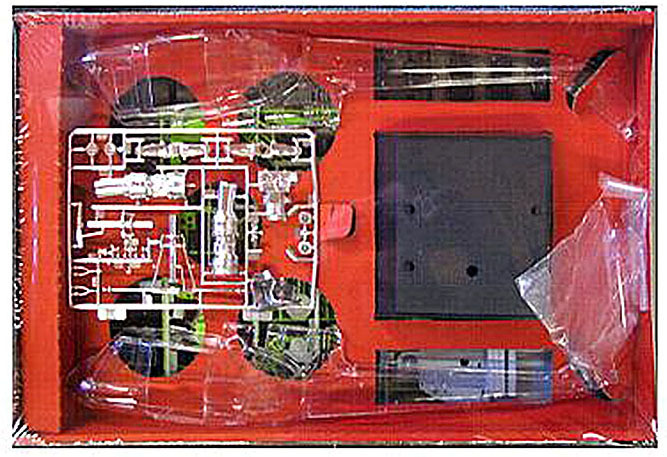 The Vietnam War-era helicopter kit sports a transparent plastic skin, with full internal detail showing fuselage framing, cockpit and engine. An assembled Huey measures some 508 mm (20 in) long, with the main rotor blades rotating to form a near-600 mm (24 in) diameter sweep. 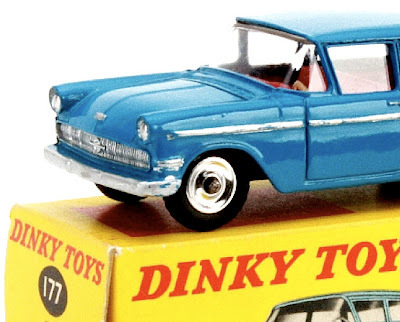 If you care to actually build this 1:24 scale kit, the supplied electric motor will turn both main and tail rotors, power supplied courtesy a set of batteries in the base. 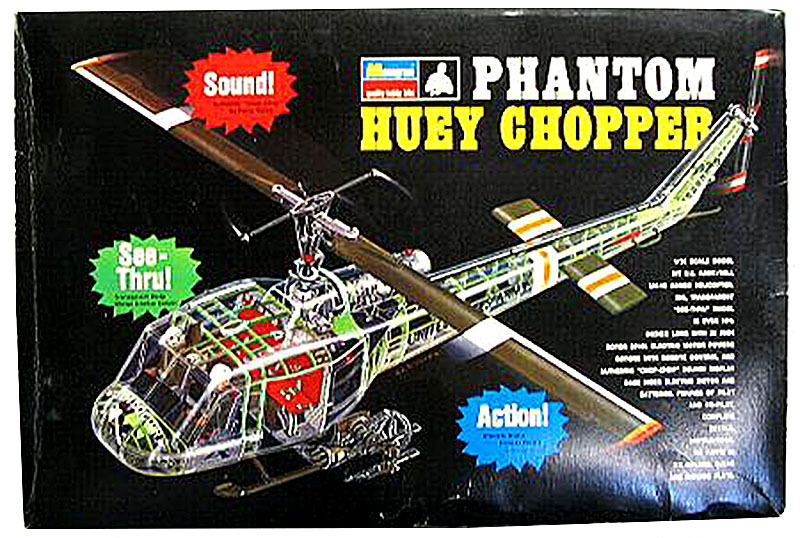 There’s more - a sound unit makes the memorable Huey ‘slapper-slapper’ noise, familiar to anyone who has seen one of these choppers in action, or indeed seen a movie such as the classic Apocalypse Now. The kit has 184 parts, moulded in no less than six different shades, and is supplied as it came from the factory, with shrink-wrap inside the box to keep the contents in pristine condition: parts on top, instructions, decals, and so on below. Or how about a late-1950s 762 mm (30 in) long Marx Chris Craft Constellation motor yacht at $595 USD (£385 GBP)? Reckoned by many to be one of the finest kits of its kind ever made, there’s plenty of fine detail in the 225 parts, and the 1:20 scale kit can be made for radio control, or as a static display model. There are cast-metal accessories, and the plastic components come in classic 1950s-era shades of turquoise, brown, peach, white, clear, and chrome. Sculpted figures include the captain and his crew, a pair of voluptuous bathing beauties. 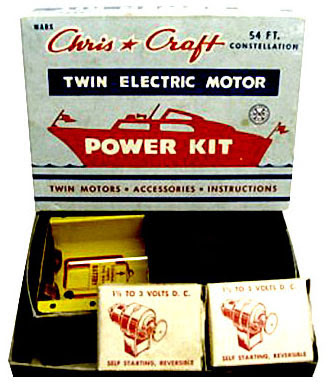 This particular kit is rare enough, but even better is the supplied ‘Twin Electric Motor Power Kit'. This has two electric motors, motor holders, battery holder, wiring, switches, full instruction sheet and more. The Chris Craft itself is not quite unassembled - a few parts, such as the rudder post and propshaft post, have been installed and one of the girls has a bathing suit that’s been painted red. If you don’t want a Chris Craft marred by the pre-painting, there’s a mint condition alternative at $750 USD (£485 GBP). 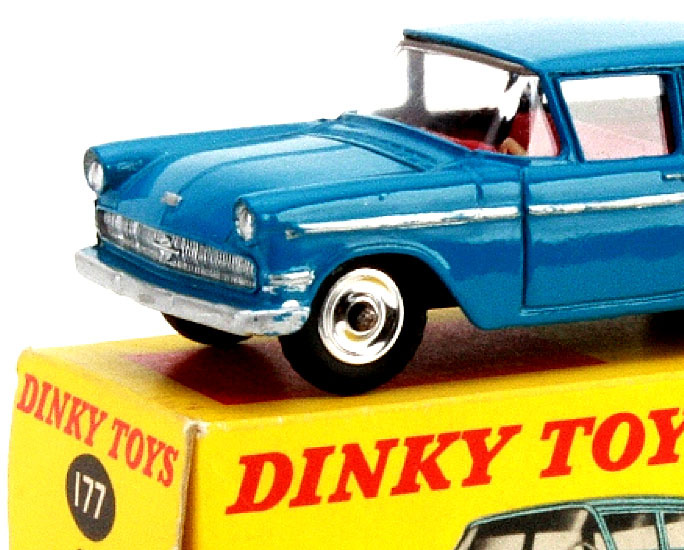 Diecast vehicles may go for even greater sums, and in Europe at least, the name Dinky Toys is synonymous with long term financial gain - at least, providing it’s mint and boxed. And of course, like all these golden oldies: “They’re not making ’em any more” so future values are pretty well set fair. 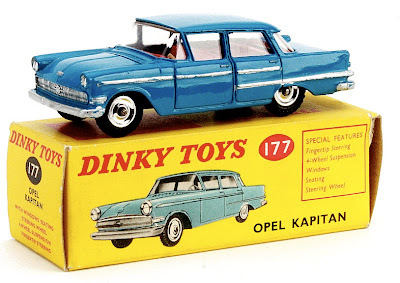 The one we show here is a rare South African issue Dinky of a German car, an Opel Kapitan, Number 177, painted in mid-blue with ‘silver detailing’ (aka ‘possibly applied by a youthful, slightly wobbly, hand’), red interior, and spun-metal wheels. The box is in ‘very good’ condition, though apparently not the correct South African export version, but the car's rarity storms through and, matching box or not, the Kapitan is up for sale at an estimated price at auction of £700-900 GBP ($1100-1400 USD). The sale finishes on January 19, so if you’re interested, now could be the time to place your bid. Rare kits available from Old Plastic Model Kits, a gem of a site, here. Dinky Toys Opel Kapitan auction here.